I'm not sure if I understand your query correctly. 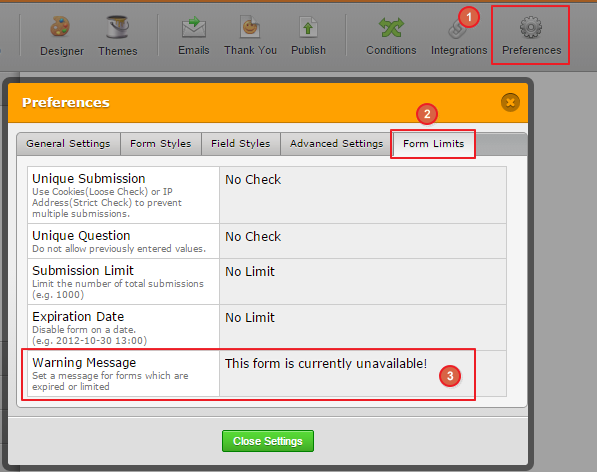 Do you mean to say that you want to display a message to the form filling person if the form registration is closed? If so, you may set an expiry date to your JotForm or limit the form to receive a number of submissions and display a message from the Form Preferences. Please refer to the guide below that can help you with limiting the form submissions. Hope this information helps. Let us know if you are referring to something different or need any further assistance. We will be happy to help.